Okay, this month's event is "Flower-making" using fabrics. Guess this is interesting and hoping to get more entries this time. I have extended deadline till November 30, so that we have ample time to do this. 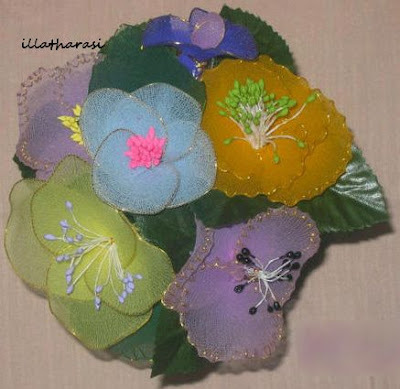 1) Use any kind of fabric(silk, rayon, cotton, etc) to make flowers, take pictures, publish in your blog with a link to this event and add the LOGO. 2) Email your name, picture, link to the post, to illatharasi at gmail dot com (illatharasi@gmail.com), once you are done. 4) Those who dont have a blog, please email your picture to illatharasi at gmail dot com.